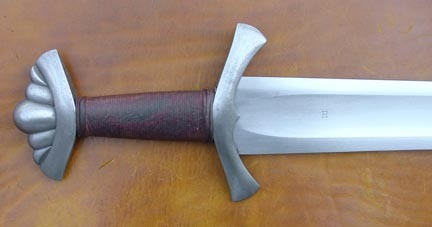 This Petersen Type Z we named for "Ingvar Vittfarne," a Viking who led an ill-fated journey eastwards on the Russian rivers, late in the Viking age (1036-1046). "Vittfarne" is a nickname, meaning "He Who Travels Far." 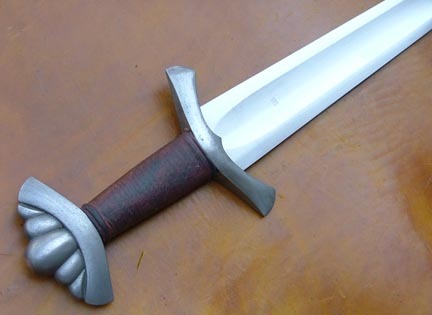 The Type Z is a late style of Viking sword, belonging to the 11th C. It also has Eastern origins, so it would fit with this historical person and one of the last great Viking journeys. There are many rune stones commemorating the journey, all mentioning warriors who died. It is said that only one ship returned. 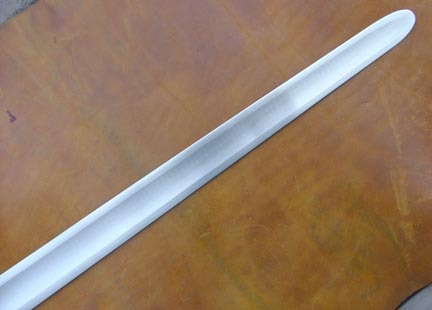 The Type Z swords are mostly found in the Baltic region, but also occur in Norwegian, and even English, find locations.